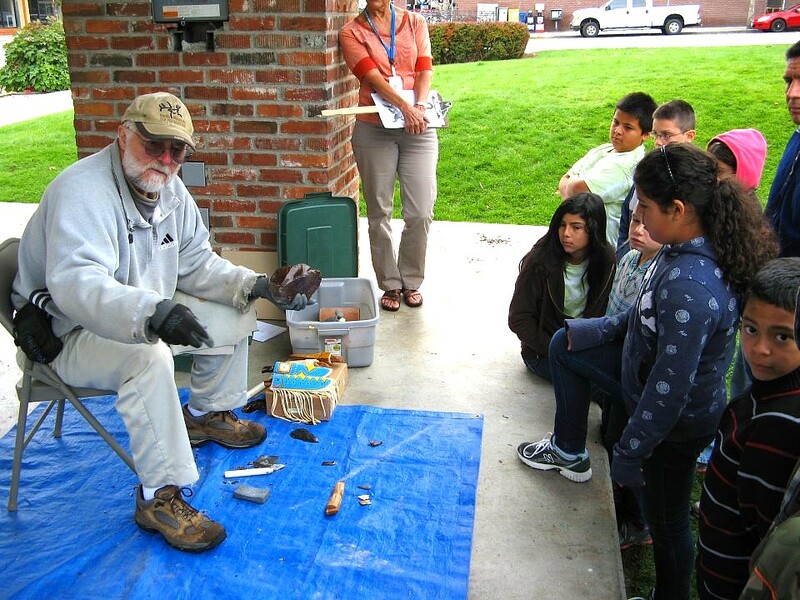 PSK PURPOSE: To serve as a platform from which to promote and practice knapping basics and skills. The Puget Sound Knappers were invited to demonstrate flintknapping for the Ice Age Adventures Event at the Wenatchee Museum and Cultural Center in Wenatchee, WA. 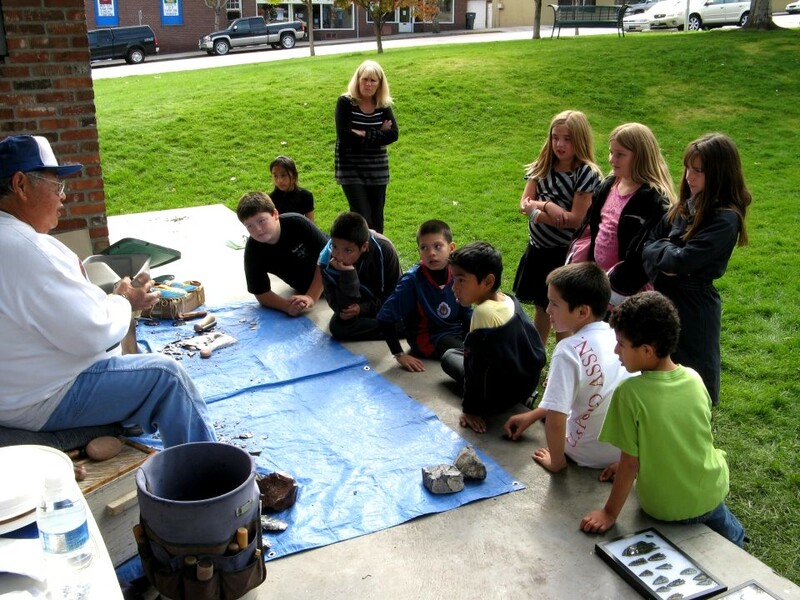 This event, October 12th, 13th and - 15th, was to expose about 600 fourth and fifth graders from the Wenatchee area schools to the Ice Age period and stone age technology. 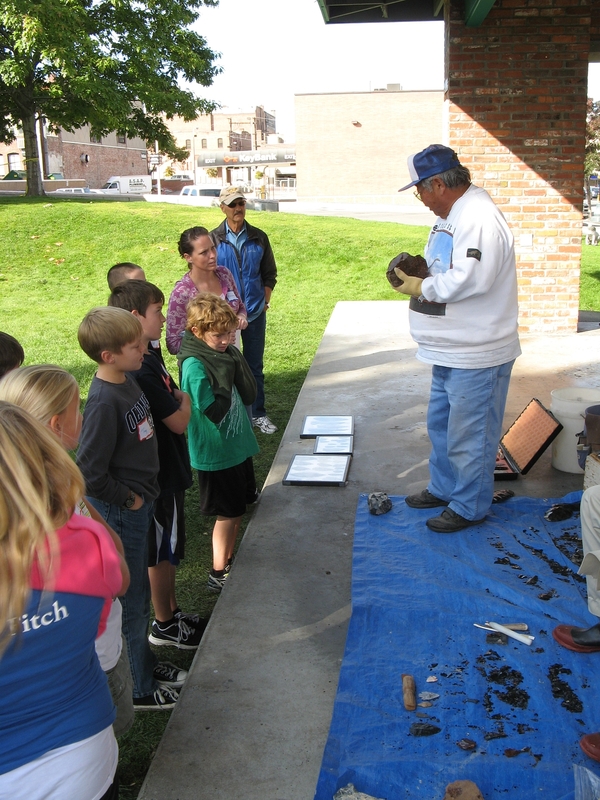 In keeping with the stated purpose of the PSK, long time members Richard Urata from Hamilton, MT and Jim Smith, Bothell, WA made the trek to Wenatchee and demonstrated the art of flintknapping to the kids, organized in groups of 10 - 15. 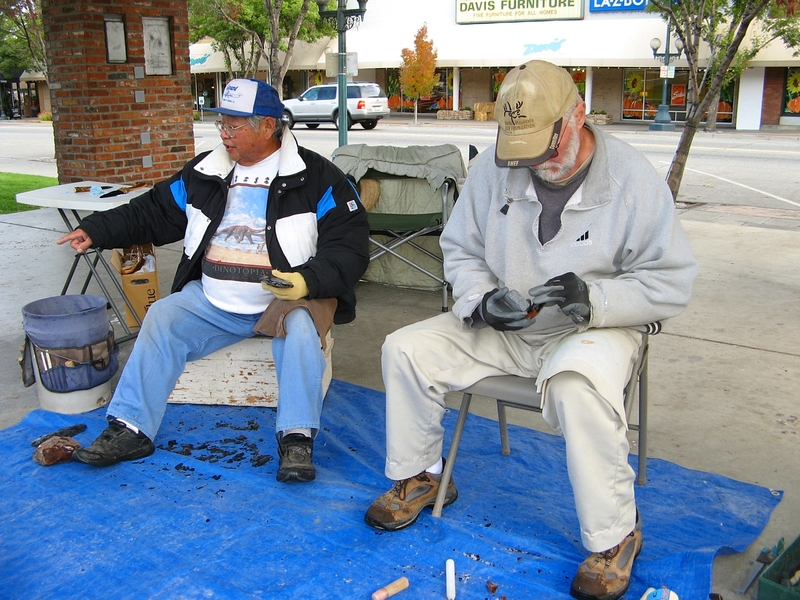 Both evangelical knappers, Richard Urata and Jim Smith are absolutely great at spreading the gospel of Flintknapping. As can be seen in the photos below, Richard and Jim captivated their audiences, demonstrating and enlightening the students on the tools, techniques and history of stone age technology. Who knows, there might be another Don Crabtree in the group! And given that Richard is a long time Chief of the PSK Clan of the Ooga Booga Tribe and Jim is a long time Spirit Guide, maybe some future Ooga Boogas!!! Jim Smith - History Lesson Richard - Captivating his audience!